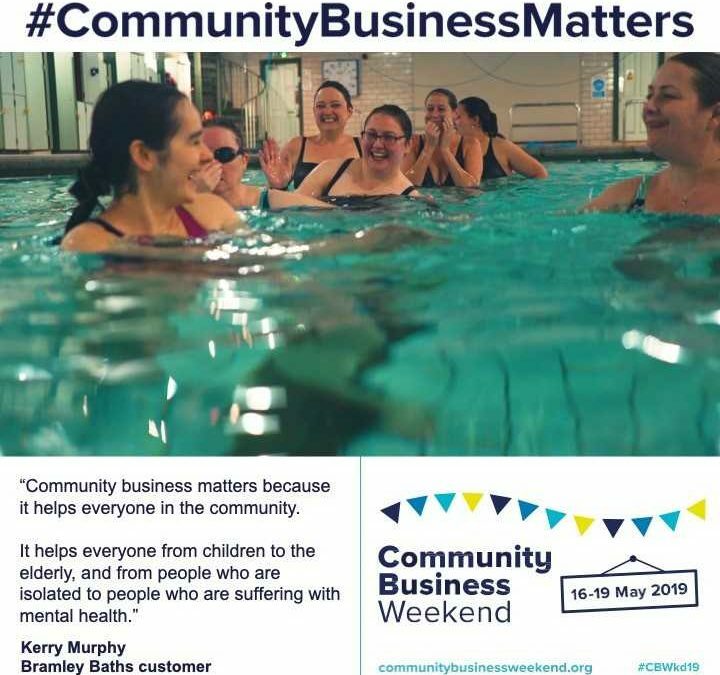 We’re really proud to be featured in this video from Power to Change to publicise the fourth annual Community Business Weekend, which runs from Thursday 16th May to Sunday 19th May. People across the country are being encouraged to visit a community business near them and find out what they do. And, we’re running our own Community Business Weekend event on Sunday, May 19 between 12pm-2pm. Come and join our CEO Sue Stones between for a chat over coffee, tea and cake. This is an opportunity to speak to Sue about absolutely anything connected to the Baths – as well as our future plans. We’ll also be running regular tours around our Grade II Listed building, which will be an opportunity to learn a little about our rich history. Alternatively, you can also book in reception or by calling 0113 256 0949.